Did you know that Bitcoin has been the fastest growing currency the latest year? As the currency value has increase the interest for the currency has been wild, just look at all the news articles, searches and people involved in Bitcoins. Read our promotion page for our eBook about Bitcoin mining! Our eBook is for all those people searching for information on how to get started with Bitcoin mining, the process where you use your own computer to “create” Bitcoins. Promoting our eBook will ride on the wave of the rising interest for the new currency and the new era of gold rush. On our page the visitors can signup to our newsletter and get a free guide, when signing up we are storing your affiliate code so that we are able to include that in the e-mails we send out reminding customers to buy or eBook, this ensures that the customers you promote the product to is yours even if they change browser or delete cookies when buying the eBook after e-mail reminder. Easy! We do all the hard work creating banners, promotion materials to make the affiliate work easier, we are here to help you earn money on our product! For each sale you get 60% commission from the price the customer pays! You get more profit than us per sale! An independent third party program named Clickbank handles the sales and payments to both affiliates and sites owners, like us. To join this affiliate program you will need to sign up with Clickbank, this is free & easy to do see more info below. Clickbank pays you by check every 2 weeks no matter where you live in the world! When you log-in your Clickbank account, you will have access to real-time statistics, so you can see how much money you have earned at any time. When a customer visit this ClickBank link, he will be redirected to our site and if a purchase is made, you get paid the affiliate commission! Simple! Banners will be added all the time, contact us if you have ideas for new banners! Have you heard about the Bitcoin currency, it is still possible by using your own computer to mine for Bitcoins, earning money while letting the computer do all the hard work. 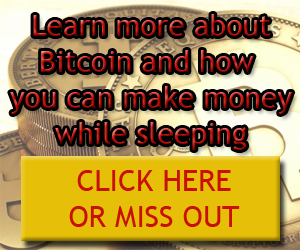 This great eBook shows you step by step how to get started mining Bitcoins. Read the eBook here. * All estimated earnings is an estimate and not a guarantee that your promotion will attract our estimated number of customers, you will get paid for every sales. As per ClickBank policy we do not allow affiliates that uses SPAM or any other illegal or unethical method to promote our product.